We are very excited to share this event ‘Memory Activism: Reimagining the Past for the Future in Israel-Palestine’ featuring the new book by Democracy & Diversity Institute alumna, and NSSR Europe Collective member, Yifat Gutman! The event will take place Wednesday, April 12, 2017 from 4:00 pm to 5:30 pm @ The New School. This seminar will explore an innovative analysis of memory, social activism, and the Israeli-Palestinian conflict. 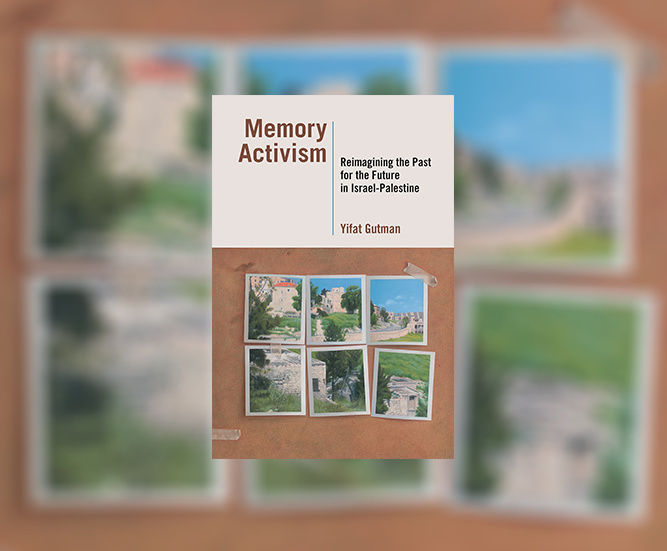 In her new book, Memory Activism: Reimagining the Past for the Future in Israel-Palestine, Yifat Gutman offers an innovative analysis of memory, social activism, and the Israeli-Palestinian conflict, set in Israel in the first decade of the twenty-first century and based on long-term fieldwork. Gutman explores practices of “memory activism” by three groups of Jewish-Israeli and Arab-Palestinian citizens (Zochrot, Autobiography of a City, and Baladna), showing how they appropriated the global model of truth and reconciliation while utilizing local cultural practices such as tours and testimonies. Through deep ethnographic work, she shows how these activist efforts gave visibility to a silenced Palestinian history in order to come to terms with the conflict’s origins and envision a new resolution for the future. This unique focus on memory as a weapon of the weak reveals a surprising shift in awareness of Palestinian suffering among the Jewish majority of Israeli society in a decade of escalating violence and polarization–albeit not without a backlash. This event is presented by Global Studies, The New School for Social Research, and the Department of Sociology.